Some search engines don’t reveal search terms for privacy reasons. Google, for example, has been encrypting the vast majority of search terms since 2013. So WordPress often can’t specify which search terms were used by visitors who arrived at this site from a search engine. That’s why the majority on my list – over 3800 by now – are unknown search terms. Still, there’s a couple of search terms I want to address in blog posts and maybe help the unknown searching beings to get answers for their questions. In this post, I’m going to look at some of the most used search terms since May 2018. At the moment, most of you are looking for and asking about “missing” cast members. If you missed Part 1 (about cast, characters and locations search terms), you can find it here. If you missed Part 2 (regarding Isabel Lucas’ character of Olivia/Samantha Cage), you can find it here. For Seasons 1 and 2, many of you commented with a “Where’s Lucas?” on the cast’s social media posts. 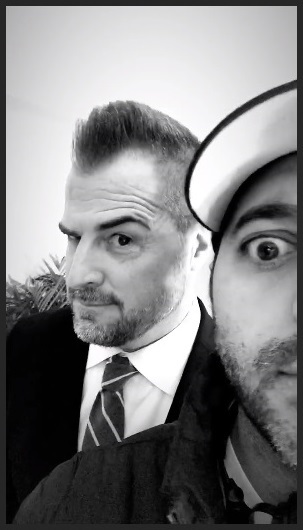 Lately, it’s been all about “Where’s George?”, asking about the whereabouts of George Eads who plays Jack Dalton. Well, George has been on set regularly. But he had a lighter filming schedule this season, not appearing at all in two episodes (3×04 and 3×08) so far. He also wasn’t as generous with posing for photos or videos anymore. The last time I’ve seen him on a BtS photo was on October 31, uploaded by Carlos Bernard (director of Episode 3×11: Mac + Fallout + Jack). I assumed he had asked for a lighter schedule to spend more time with his family; similar to Scott Caan on Hawaii Five-0. 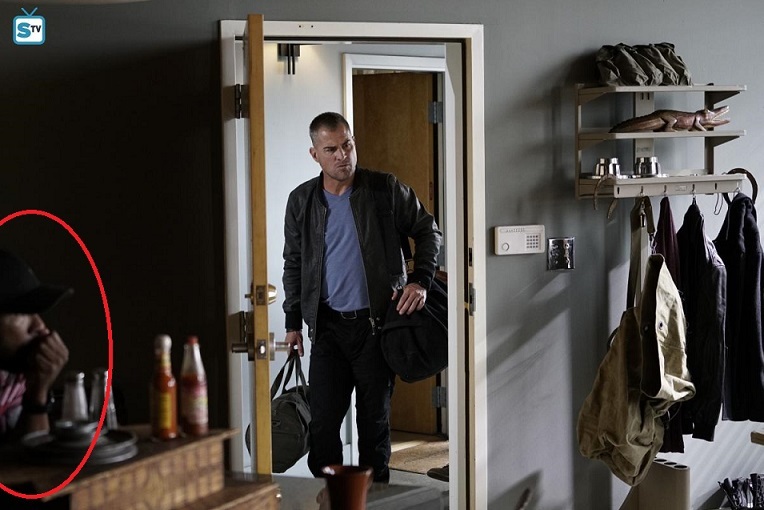 But then, news about George Eads actually leaving the show for good hit on November 26. The Hollywood Reporter was the first to announce it. The quite unexpected and somewhat shocking news articles flooded Twitter and other social media for days; also making waves in Europe. We don’t know yet for sure how or when the character of Jack Dalton will be written out. As ET Online stated on Monday, Eads was currently on set filming his last episode when news got out, which would have been either Episode 3×13 or 3×14. 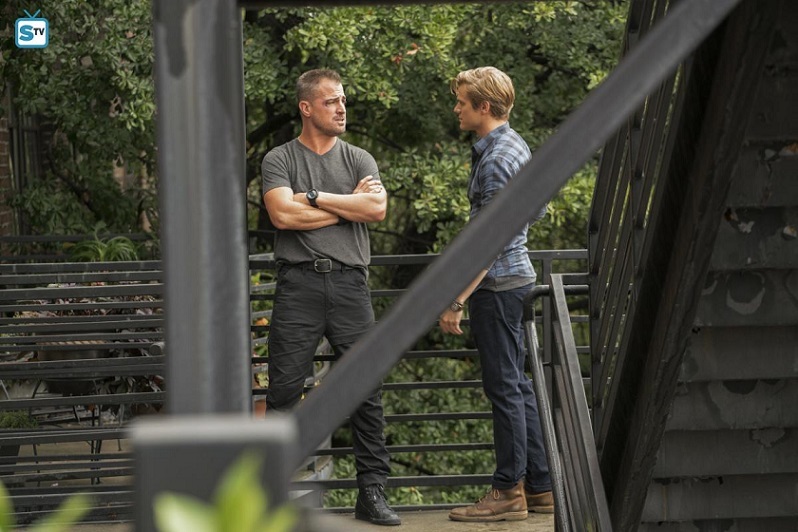 Deadline had more information: While Eads has been released from his series regular contract and his character Jack Dalton is being written out, I hear he is not being killed off, with the door left open for Eads to possibly return as a guest star. Of course, networks almost always say that about top-billing guest stars and fan favorites leaving and yet it rarely happens. Let’s hope for the best. On Tuesday, Justin Hires revealed that George was part of the wedding location scenes they’ve been filming for Episode 3×14. According to Roberto Sanchez, it’s titled “Father + Bride + Betrayal”. Of course, we don’t know if they’ve also been filming some additional scenes (e.g. flashback scenes) for later episodes. 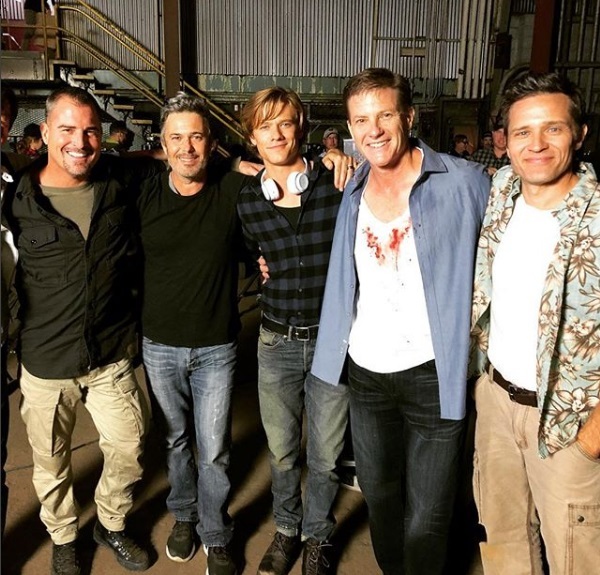 Interestingly, neither Lucas Till nor his Stand-In Matthew Albright have been spotted for a week until Lucas popped up in Justin’s and director Avi Youabian’s BtS videos. It’s possible Lucas and George have been filming some scenes on their own that we’re not allowed to know about yet. To recap: Reign Edwards plays Bozer’s girlfriend Leanna Martin. She joined back in S2 for a handful of episodes, leading to speculations that she would join Season 3 as a regular field agent; sort of a replacement for Isabel Lucas’ character Samantha Cage. She was listed as a recurring for the first three episodes of S3 – and then she suddenly disappeared. It was mentioned in Episode 3×04 that Leanna was unavailable while being on another mission. But apart from Bozer and his worries about their relationship in 3×05, she wasn’t seen nor mentioned again until she popped up in Episode 3×09 last week. Reign was filming a pilot project for Amazon Studios in New Zealand. She came back to set in October and should also appear at least in Episodes 3×10 and 3×11. Since then, she hasn’t been seen on set again so at the moment, we don’t know if her character is leaving definitely or staying as recurring. If her pilot was picked up, she might be busy with an other series soon and being written out of the Reboot. If that happens, it would be probably due to Leanna and Bozer breaking up or her being assigned to another longterm mission. Interestingly, Leanna was highlighted in Episode 3×01 as the field agent that can do anything (e.g. flying a helicopter) and has excellent fighting skills, similar to Samantha Cage. But besides last Friday’s episode (that depicted her as being a bit of a neat freak when it comes to refrigerators), there wasn’t much character development for her. 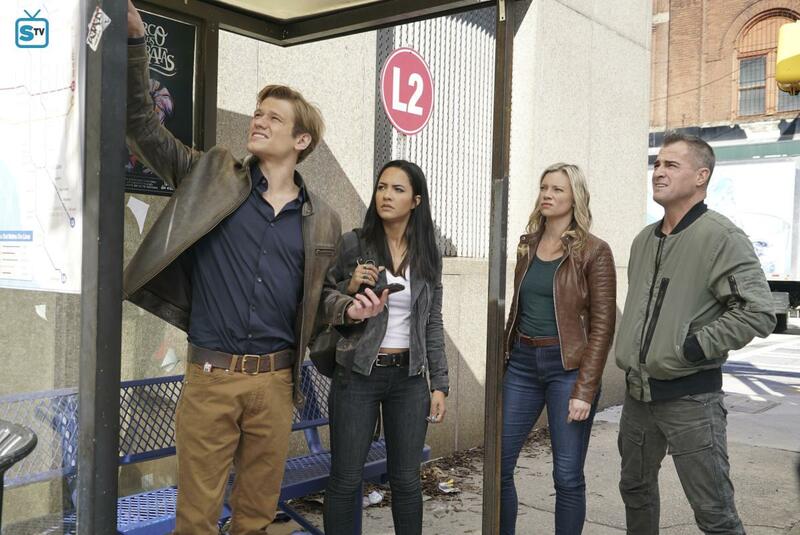 will isabel lucas return to macgyver? To recap: Isabel Lucas played Samantha Cage. She was a regular cast member in the first half of Season 2; appearing in 12 episodes. In general, no cast member is 100% safe on a TV show – not even when their character’s name is the title of the show (see recently cancelled Roseanne and its Spin-Off The Conners). We don’t know if Samantha Cage had been meant to stay on for an entire season initially or not. 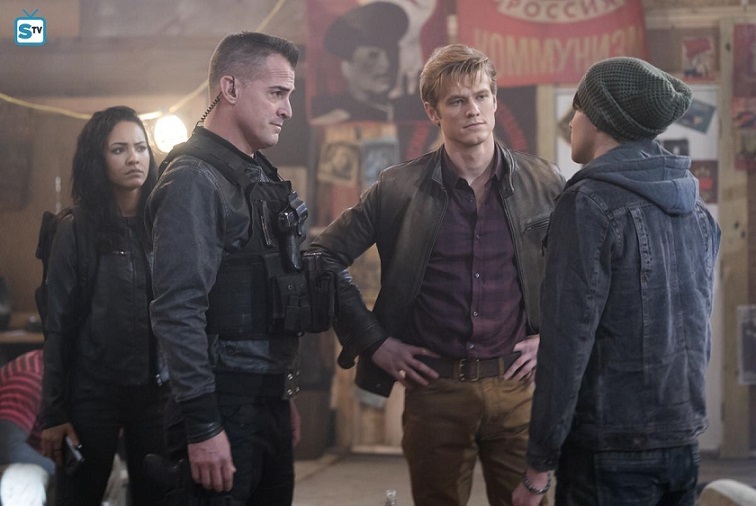 The character wasn’t well received on social media; enhanced by some of the Jack Dalton fans that feared she had been brought in to replace George Eads. 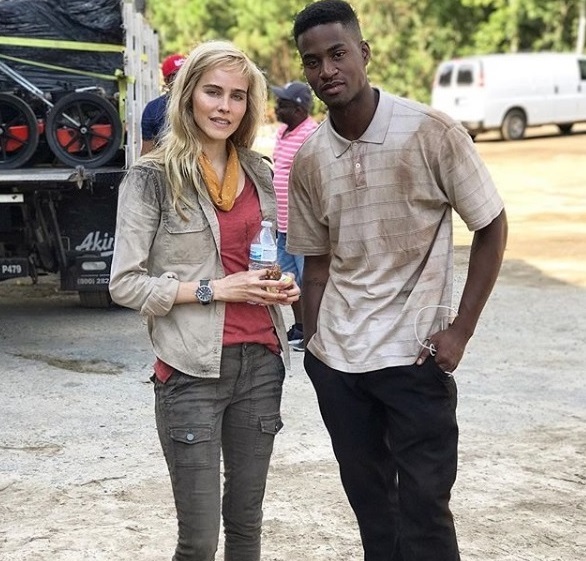 Theoretically, it would be possible for Isabel Lucas to come to the show again since Cage went back to Australia to recover from a gunshot wound. In fact, it happens on Peter Lenkov’s other show Hawaii Five-0 quite often that characters show up again after a season or two. The chemistry between her and the cast seemed good, so I don’t think that would be a problem. 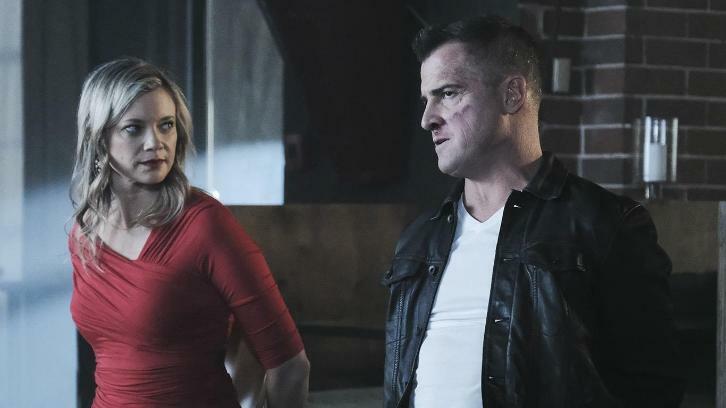 Since her character hasn’t been mentioned in Season 3 so far at all, it didn’t seem very likely to happen – but that could change now with George Eads being gone soon. In my opinion, the storyline of Cage wasn’t resolved satisfactorily. She was almost shoved aggressively into the team at first; making her a regular instead of a recurring character before joining Phoenix – then as the character finally seemed to work it fizzled out and disappearing in the backgroundd, almost being overlooked in some episodes. After a plot twist that was never explained either, she wasn’t seen or talked about again. Also, Murdoc hinted at her not using her real name and having secrets that her friends (aka Team Phoenix) would not approve of. Of course, this could have been a joke regarding the character’s name change after they had started filming (see this post for more information about Olivia Cage), but it rather feels that some of the writers didn’t really know what to do with her, while other writers had had some ideas for the character that somehow didn’t turn out since Isabel’s guest stint was cut short. Personally, I wouldn’t mind if she came back for another episode or two to wrap up her storyline. Some search engines don’t reveal search terms for privacy reasons. Google, for example, has been encrypting the vast majority of search terms since 2013. So WordPress often can’t specify which search terms were used by visitors who arrived at this site from a search engine. That’s why the majority on my list – over 2500 by now – are unknown search terms. Still, there’s a couple of search terms I want to address in blog posts and maybe help the unknown searching beings to get answers for their questions. If you missed Part 1, you can find it here. Today, I’m looking back at search terms regarding Isabel Lucas’ character of Samantha Cage. If you’re looking for a cast member of a specific episode, you might be faster if you head over to the official reboot page on IMDb than trying to Google it. 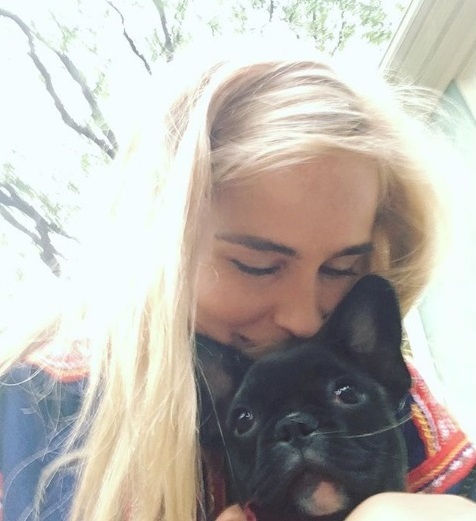 Visiting the site, you’ll find Isabel Lucas’ IMDb page very easily and can check what other projects she has done already. For example, she is credited for 259 episodes of the Australian TV Show “Home and Away” or for American movies like “Transformers: Revenge of the Fallen” (2009) or “Red Dawn” (2012). She has also appeared in the Music Video for “Give Me Love” by Ed Sheeran. 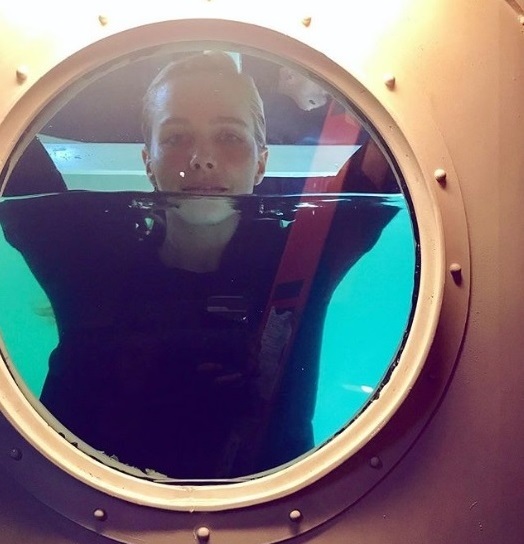 FunFact: Isabel has been with Sea Shepherd since 2010. The organization is very close to Original MacGyver Richard Dean Anderson’s heart, so it’s actually possible they’ve met each other before. 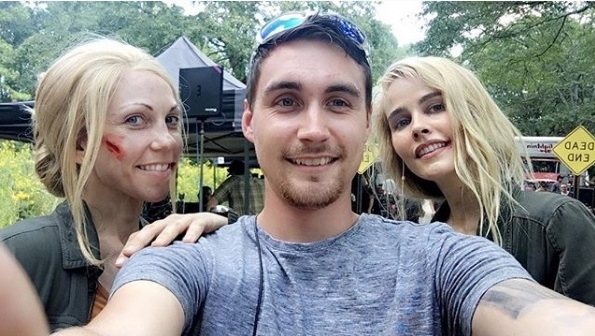 Isabel Lucas is a regular cast member in the first half of Season 2. She appeared in 12 episodes. 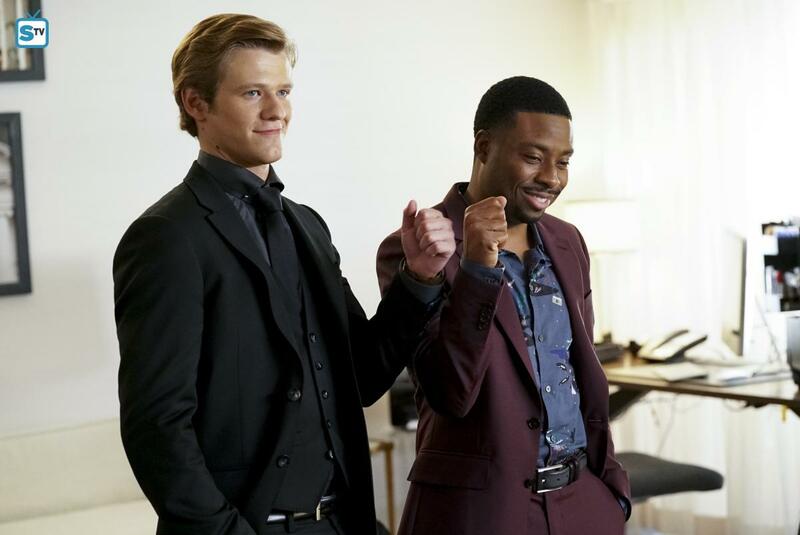 We can assume it doesn’t apply to Lucas Till since the show is named after his character, but in general, no cast member is 100% safe on a TV show. There are never permanent, only current cast members. It’s possible that some actors coming on a show for a new character have a contract for just half the season or a certain amount of episodes so the producers can “test the waters”. I’m not sure if either Sandrine Holt as Patricia Thornton or Isabel Lucas’ character of Samantha Cage had been meant to stay on for an entire season initially or not. Both characters got mixed reviews, and some negative comments were quite “loud”, so it’s possible that this is one of the reasons both characters “disappeared” after 12 episodes each. why is isabelle lucas in so few macgyver episodes? The character of Olivia Cage seems to be a unicorn: Some believe she exists, but it looks like she only exists in theory because no one has ever really seen her. 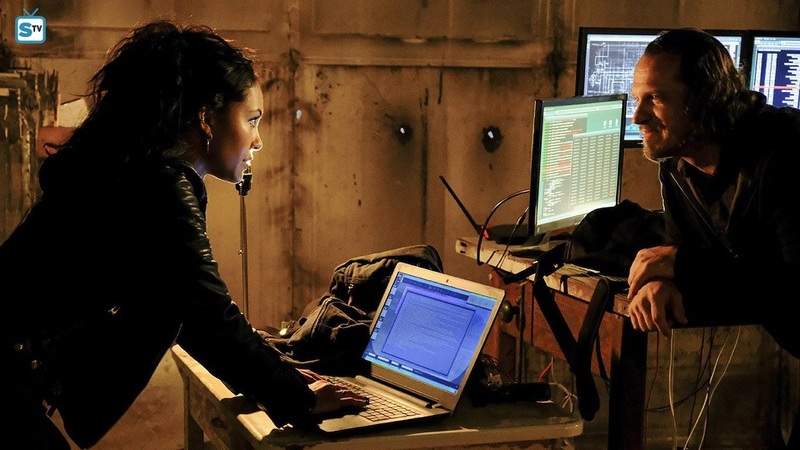 In an article by Moviehole in July 2017, they revealed that Season 2 would have TWO new female characters: Olivia Cage and an intel extraction specialist named Agent Carmen. While Olivia Cage should have been a “woman to be reckoned with and someone we will get to know well”, Agent Carmen has been described as “late twenties, fierce, focused and utterly fascinating”, being ex-CIA and having history with Matty. As we know now, this news was either aquired via old and unredacted scripts or had been somehow messed up and mixed. Many have landed on my blog while looking for one of those two women, though; leading to an array of similar search terms like “agent carmen macgyver” or “agent olivia cage macgyver”. So far, we can say that there isn’t an Olivia Cage on the show currently, but it seems like Isabel’s character was indeed called “Olivia” in the beginning. In fact, I’ve seen a BtS video on Instagram where it says “Olivia Cage” under Isabel’s photo. Sadly, I was never able to get a clear screenshot while on holiday and since Costume Designer Sarah Downer locked her profile to private a few months ago, I was never able to go back and try again. 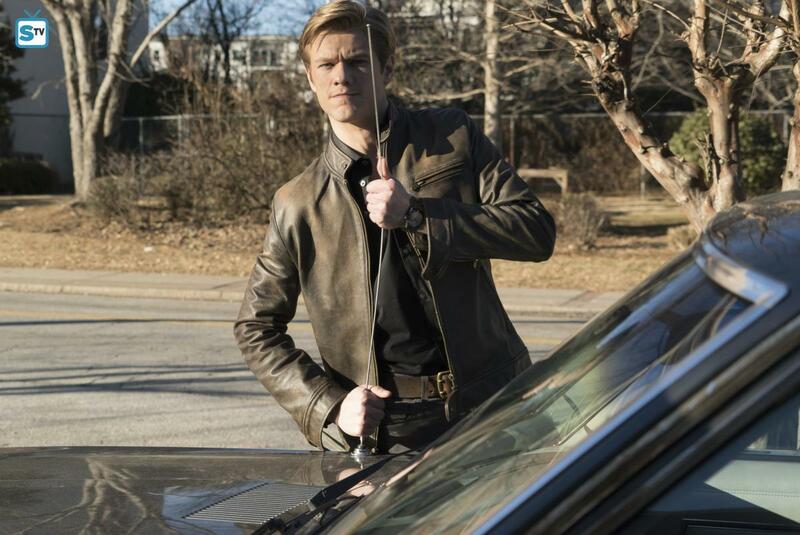 While the “MacGyver” revival wasn’t a super smash hit last season, it did just fine in its Friday night slot. The bottom line: it’s considered fun, escapist drama that isn’t too taxing on the noggin. Fun Fact: They might have changed it to Samantha so that it could be shortened to “Sam”. I’ve had the theory in the beginning that Cage might have been a relative to Mac (e.g. a half-sister). 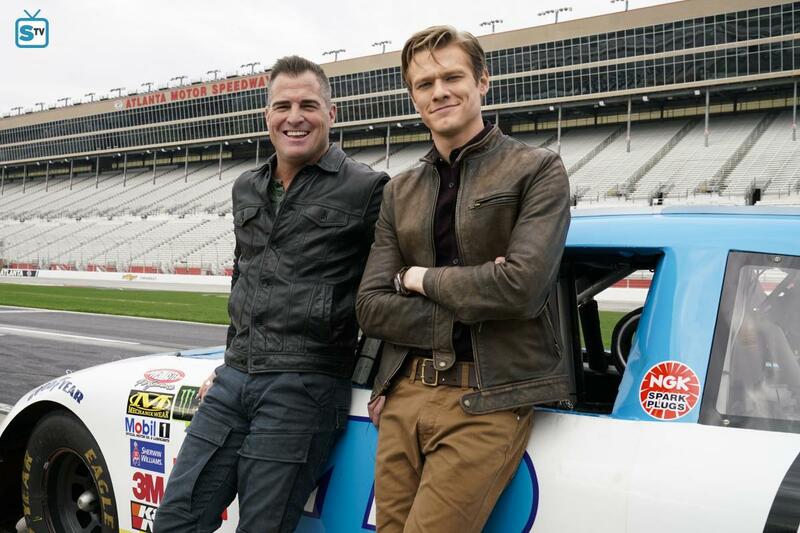 Since Original MacGyver got to meet his son S.A.M. in the series finale, that would have been kinda funny. Well, I don’t know. Since her character didn’t die in the show so far, Isabel could pop up in another episode. In fact, it happens on Peter Lenkov’s other show Hawaii Five-0 quite often that characters show up again after a season or two. The chemistry between her and the cast seemed good, so I don’t think that would be a problem. In my opinion, the storyline of Cage wasn’t resolved satisfactorily. She was almost shoved aggressively into the team at first; making her a regular instead of a recurring character before joining Phoenix – then as the character finally seemed to work it fizzled out, almost being overlooked in some episodes and after a plot twist that was never explained either, she wasn’t seen or talked about again. Also, Murdoc hinted at her not using her real name and having secrets that her friends (aka Team Phoenix) would not approve of. Of course, this could have been a joke regarding the character’s name change after they had started filming, but it rather feels that some of the writers didn’t really know what to do with her, while other writers had had some ideas for the character that somehow didn’t turn out since Isabel’s guest stint was cut short. While I didn’t like how her character was introduced and used in the first few episodes, I wouldn’t mind if she showed up this season for another episode or two. 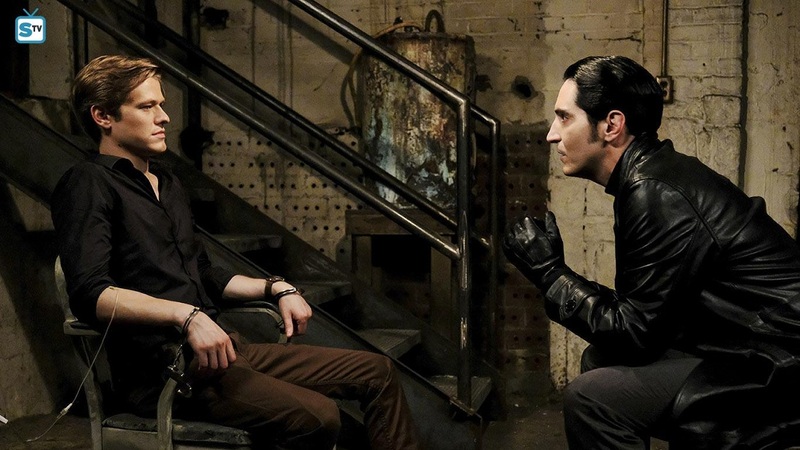 Maybe another showdown with Murdoc or Harper (from Episode 2×05: Skull + Electromagnet)? Though now that they added Leanna as another field mission regular, this might be rather unlikely. 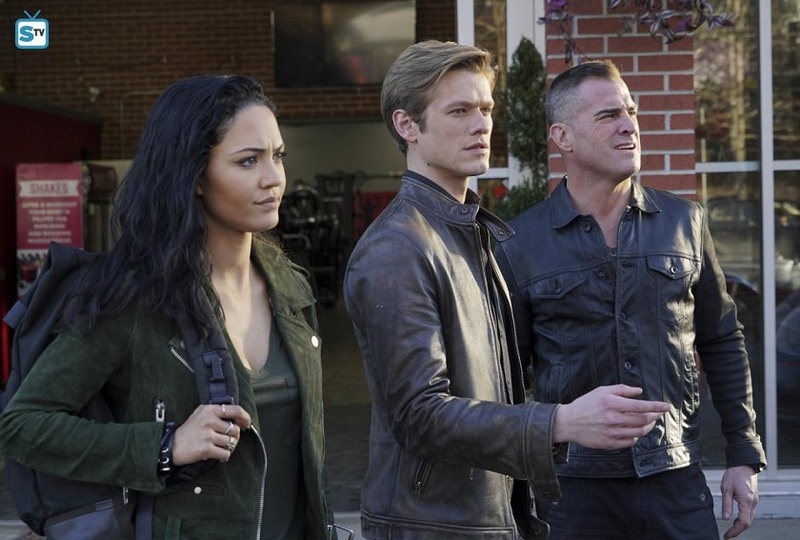 does cage die on dec 15 finale of macgyver? If you missed Part 1 (Episodes 2×01 to 2×05), you can find the post here. For Part 2 (Episodes 2×06 to 2×10), you go there. Part 3 (Episodes 2×11 to 2×15) can be found here. Starting with Episode 2×15, Still Photographer Annette Brown did most of the Still-photographing for the rest of the season. 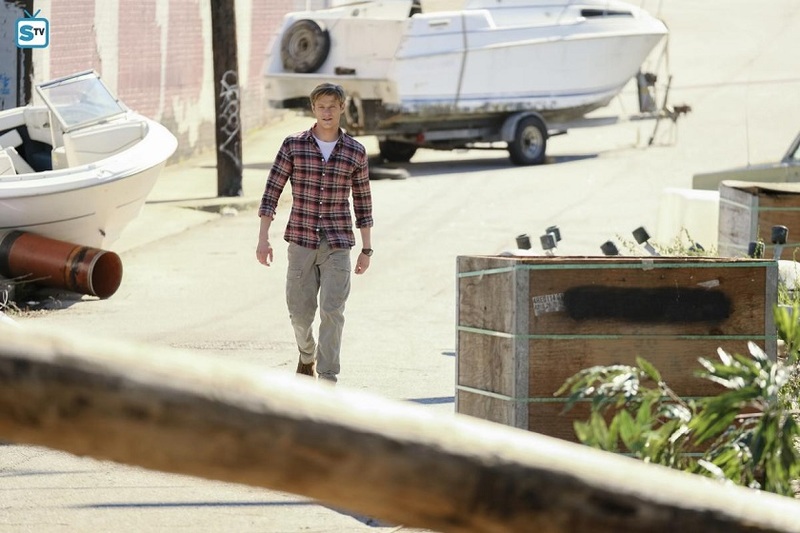 Interestingly, Matty hasn’t been featured in any of the Stills since Episode 2×14 (Mardi Gras Beads + Chair). She will only come back in two Official Stills for the Season 2 Finale. Bozer shares the same fate: After Episode 2×13 (CO2 Sensor + Tree Branch), he’s only featured in Stills for 2×16 and the Season 2 Finale. Due to the Olympics, this episode premiered after a month-long hiatus. 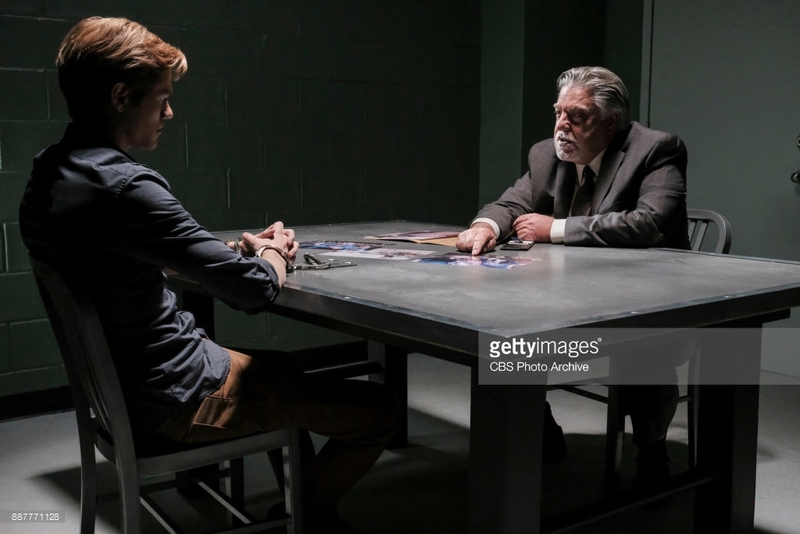 For once, CBS cranked up the promo and delivered more Official Stills than usual – 12 in total. Even the guest-stars got to be in several of the photos. MY FAVORITE: The group doing some kind of grape-crushing-contest. 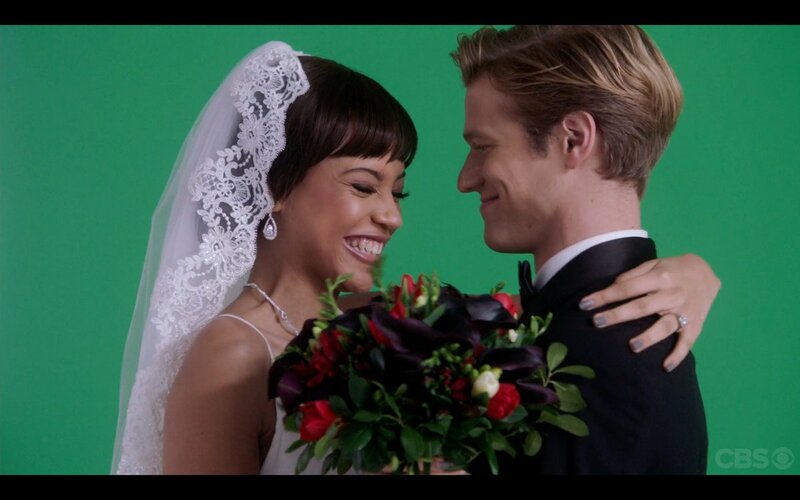 This looks like they seriously had fun filming this episode. NOW THAT’S DISAPPOINTING: So many Stills to choose from! It would have been nice to have some photos from other scenes in there (e.g. of the Opening Gambit), but I don’t really mind. Pretty people all dolled up, what’s not to like about that? Although it’s still weird for me to see Mac drinking alcohol. For this episode, we got 7 Stills via SpoilerTV. All of them feature Mac, Jack and Riley on their mission near Chernobyl. 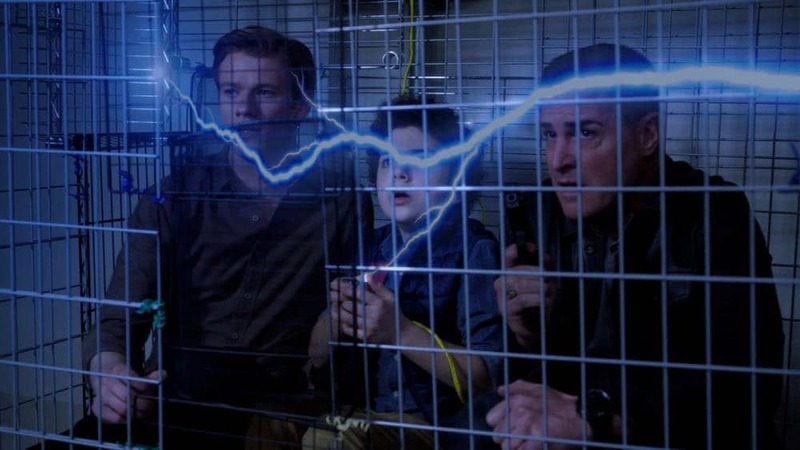 MY FAVORITE: Mac, Jack and Riley trying to get information of a guy that’s not that willing to talk, leading to Jack sacrificing some of his most beloved possessions. NOW THAT’S DISAPPOINTING: Nothing, really. It’s also nice to see Mac wearing a different color for once. Looks good on him. For Episode 2×18, SpoilerTV delivered 12 Official Stills again – after a 2-week-premiere-break due to March Madness Basketball. It looks like additional promo is the one positive thing about having a short hiatus every now and then. 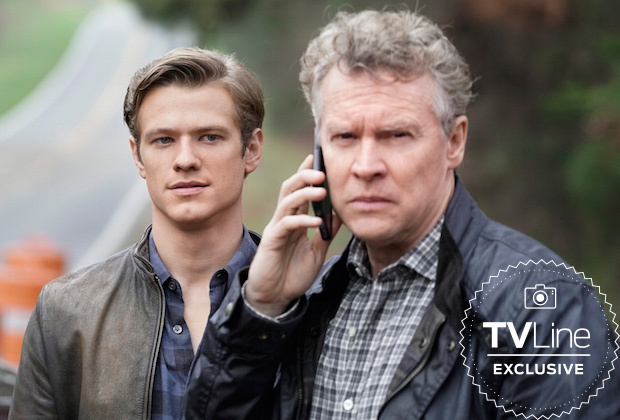 MY FAVORITE: Having the Colton’s back is fine, but it’s definitely nice to have an Official Still of Mac only while doing some MacGyvering. 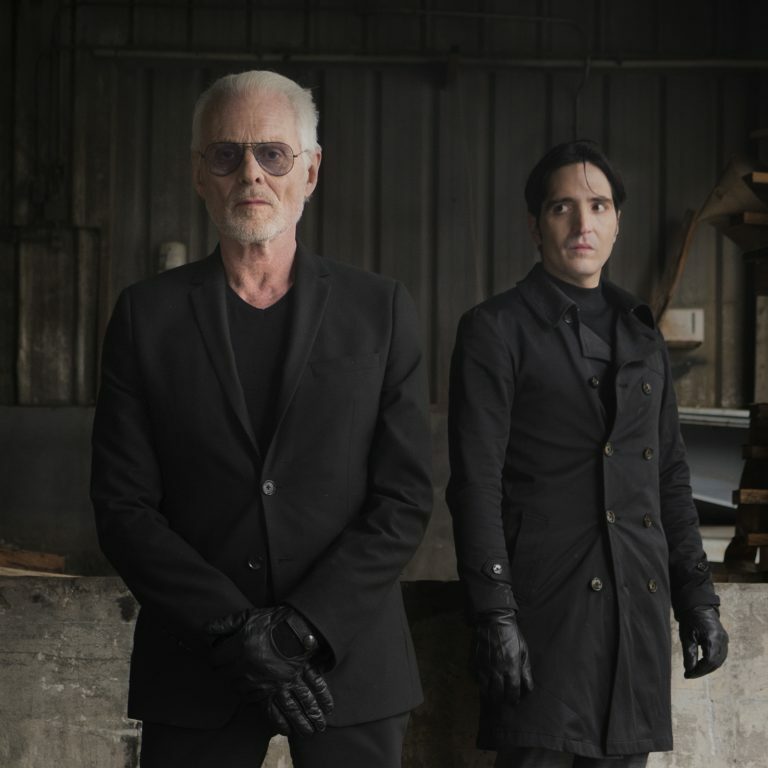 NOW THAT’S DISAPPOINTING: The Colton’s are fun and I hope to see them again next season, but I wasn’t so fond of the Stills with them in it. Not sure why. We got 10 Stills for this Episode. Amy Smart coming back as Dawn even got to be in several of them. As always, the whole team is completely color-coordinated. 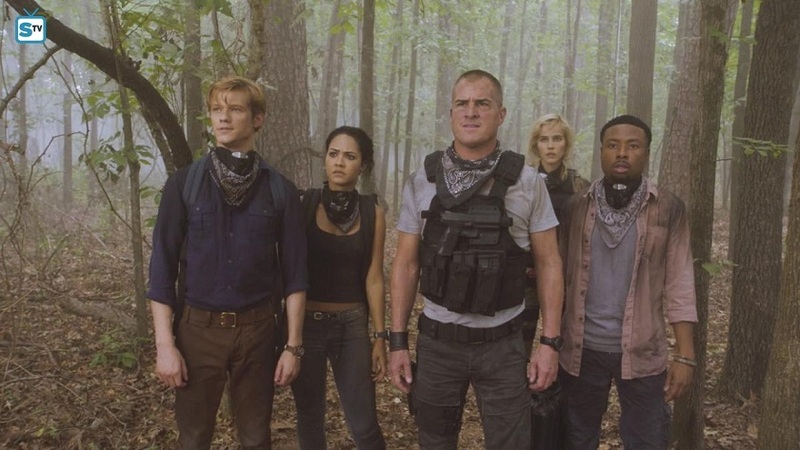 MY FAVORITE: Mac, Riley, Dawn and Jack on their mission. NOW THAT’S DISAPPOINTING: It’s nothing new, but the Stills are not that exciting – despite the team getting arrested in most of them. I preferred Guy D’Alema’s style of taking Stills, but he went on to work on other projects. FUN NOTE: Amy Smart’s character Dawn in casual clothing reminds me of Mac’s “bad” ex-girlfriend (Nikki Carpenter). 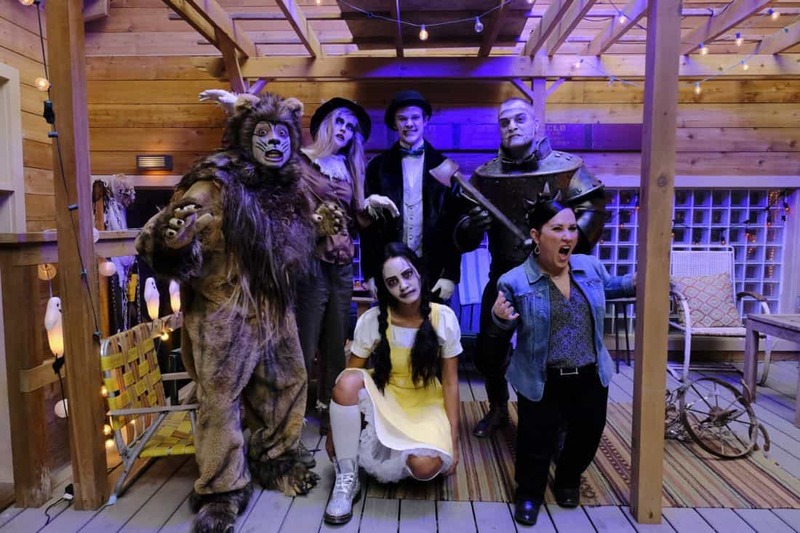 For this episode, there were 2 small pics with the Press Releases – but we didn’t get any full Official Stills or Sneak Peeks until 2 hours before the Premiere. At last, Seat42F provided some last-minute Stills. MY FAVORITE: There’s some action going on! And who’s that kid in the middle? That definitely looks like it could have been an episode of the Original Show. NOW THAT’S DISAPPOINTING: The Stills came in so late, they didn’t even make it to SpoilerTV. What’s up with that? It’s possible many fans never got to see them. Some of them look rather like screenshots, and there’s not even a Still Photographer credited. Maybe they were screenshots and only added as an afterthought. Also, while they don’t have the SpoilerTV logo on them, they are of a lesser quality size. If you missed Part 1 (Episodes 2×01 to 2×05), you can find the post here. For this episode, there was only a single Official Still on the Press Release. That’s not how successful promo works? MY FAVORITE: Well. Not much to choose from, huh? NOW THAT’S DISAPPOINTING: Well. Don’t need to say much here. At least they chose one of the main mission with all the field agents present. For the seventh episode of Season 2, we got 7 Stills via SpoilerTV. One of them features the main mission while all the others feature the same scene inside Jack’s appartment. 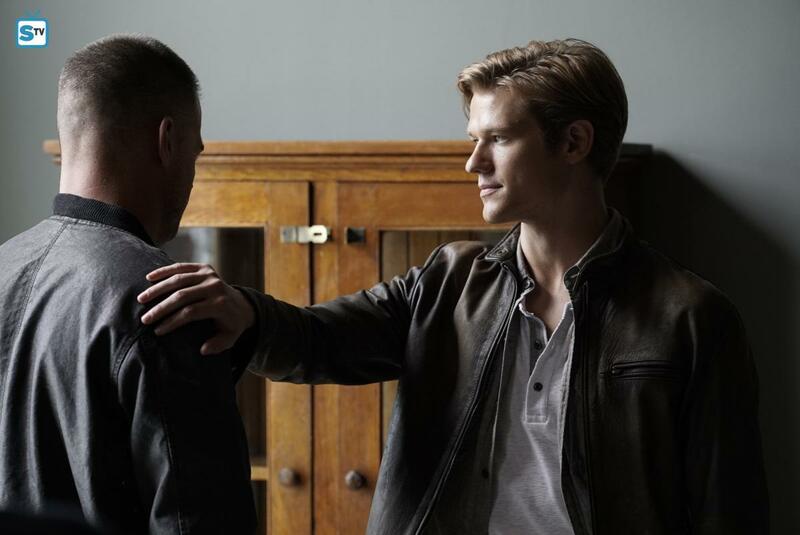 MY FAVORITE: MacGyver consoling Jack after he realizes something with a lot of emotional value got robbed. NOW THAT’S DISAPPOINTING: Nothing to be disappointed about. 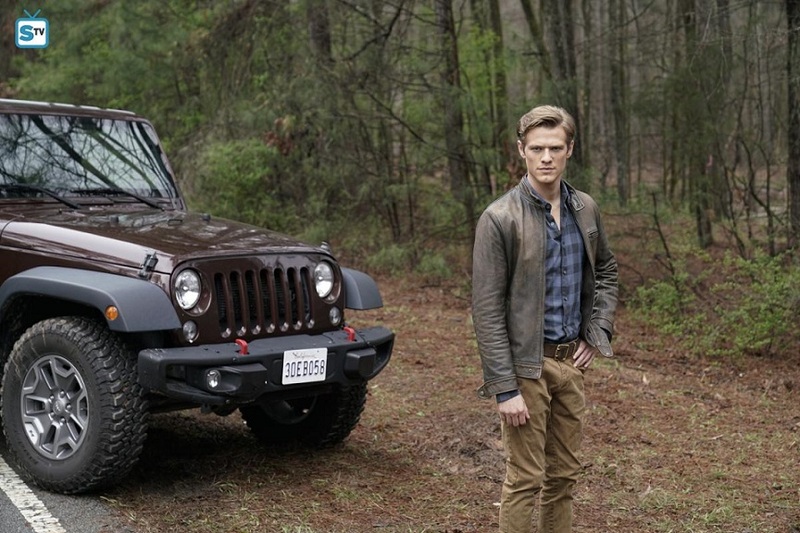 For Episode 2×08, SpoilerTV delivered 5 Official Stills. Two feature the same scene with Jack and the bad guy. One features Leanna, one Bozer and Leanna and another one Riley and Elwood. MY FAVORITE: Elwood and Riley sitting at the table. 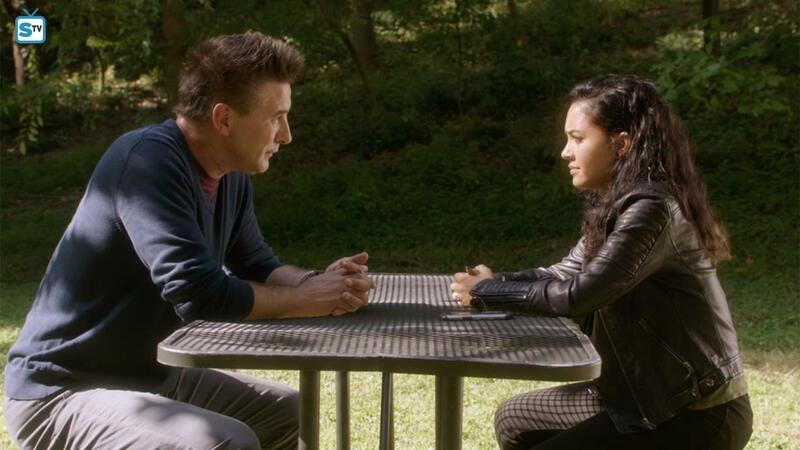 Riley looks tense and uncomfortable and you can only guess how the first get-together with her father after years of not seeing him will turn out. NOW THAT’S DISAPPOINTING: I think it’s always weird when the character that lends the show its title isn’t to be seen in any of the Official Stills. The only Episode of Season 2 that provided not a single Still. What a shame. MY FAVORITE: Harhar. Very funny. Guess I’ll provide one of my favorite BtS pictures instead. 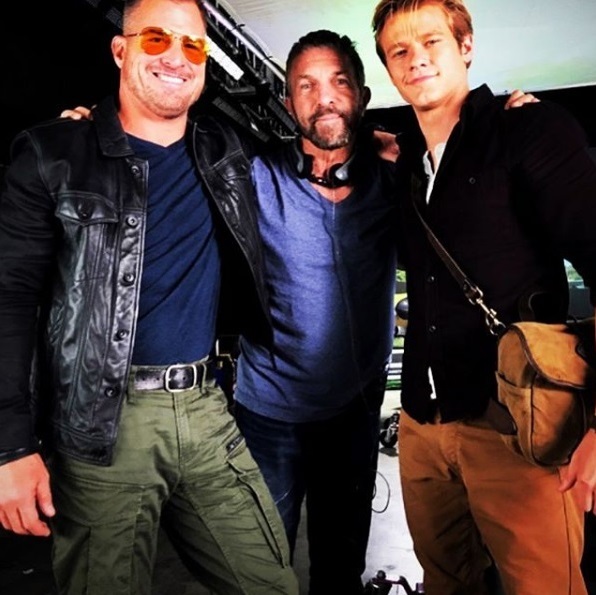 So here’s George Eads and Lucas Till with Director Bobby Roth. NOW THAT’S DISAPPOINTING: I’m pretty sure providing some Official Stills after editing is finished is not that much work. At least not as much as putting together a preview or Sneak Peeks. But what do I know, I’m not in the TV business, after all. 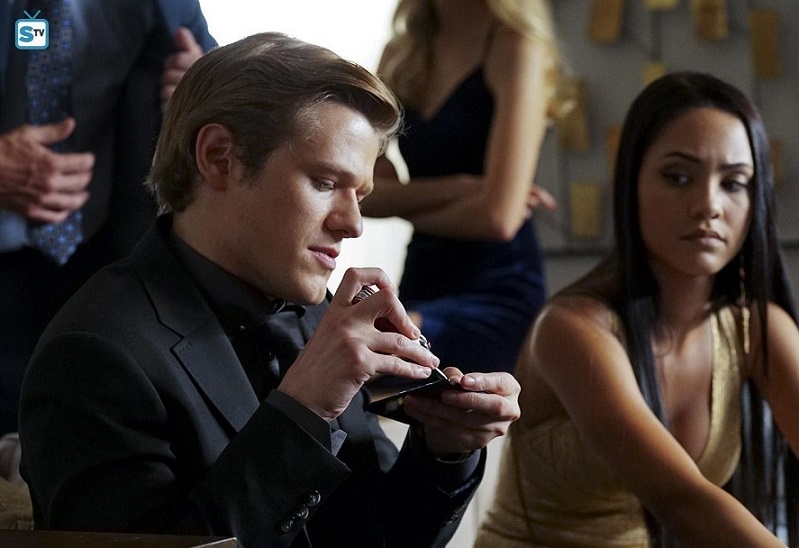 Episode 2×10 brought 8 Official Stills via SpoilerTV. And after realizing they had no Stills at all, they brought in a new Still Photographer. MY FAVORITE: Mac and Jack talking outside of Jack’s quarters. 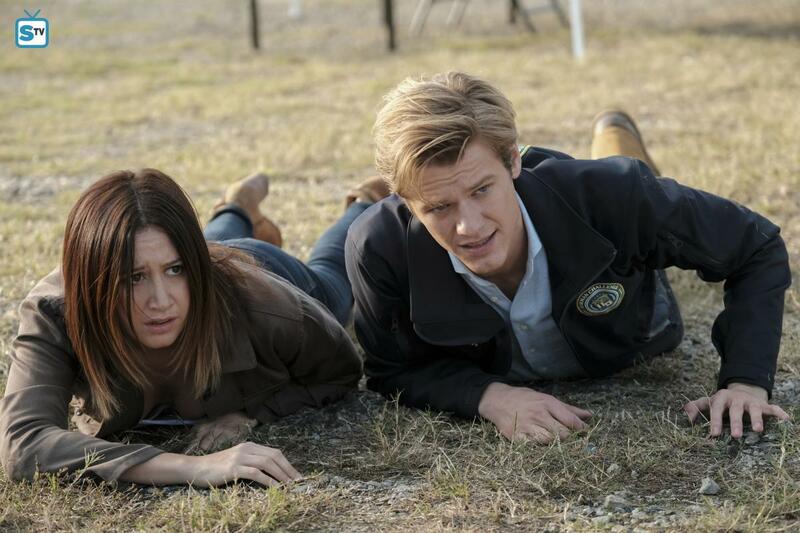 NOW THAT’S DISAPPOINTING: The episode has a more unique storyline than others, so it would have been nice to see a Still about the main storyline with Mac and Zoe and not Stills about the book-endings of the Episode.